DVD ; Our supply of the DVD has now been sold out. However, you can contact Duke Video for purchase or download. 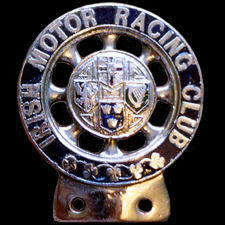 'The project of holding a Cork Motor Race was inaugurated, in the first instance, by a committee of citizens, whose objects were the development of interest in automobile sport in the South, and the general benefit which they felt would accrue to the City of Cork and surrounding area by the promotion of such an event'. From the official Programme of the 1936 Cork Motor Race. 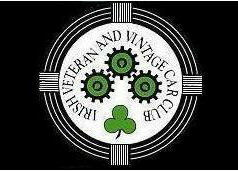 On Saturday, 23rd April, 1938 the first, and only, Cork Grand Prix took place on the Carrigrohane Circuit. Run to International Formula regulations (its modern equivelant is Formula One) the race attracted entries from Bugatti, Maserati, Alfa Romeo, Delahaye with drivers such as Tazio Nuvolari, Rene Dreyfus, Jeane Pierre Wimille, Guiseppe Farina and Cork's favourite driver Prince Birabongse Bhanudej Bhanubandh or B. Bira. Seventy-five years later, in 2013, The Munster Vintage Motor Cycle & Car Club (MVMCCC), with the assistance of Cork Motor Club, took it upon themselves to remember the Cork Grand Prix by holding an event to commemorate the only Grand Prix to be held in Ireland.